Elio Motors, makers of a three-wheeled vehicle set to be launched in the near future, is hoping to avoid the challenges faced by Polaris recently by encouraging lawmakers to come up with a new "autocycle" category of vehicle. Currently, any vehicle with three wheels is usually classified by the Federal Government as a motorcycle. But it turns out that individual states may be a little more specific in their definitions, creating problems for the makers of some three-wheeled machines. As BikerNewsOnline reported, this was the case in Texas recently when Polaris learned its new Slingshot vehicle will not be allowed for road use because it doesn't have a saddle. The state said the Slingshot's car-like seating meant it should be subject to the more rigorous safety standards applied to cars. Meanwhile, in some other states the vehicle's motorcycle designation will mean its riders (drivers?) will be required to wear helmets and have motorcycle endorsements on their licenses. Arizona-based Elio Motors is planning to release a vehicle that is in many ways visually similar to the Slingshot. Its low-cost, economical vehicle has two wheels at the front, car-like seating and is even enclosed like a car. To avoid the hurdles faced by Polaris, however, the company is urging lawmakers to develop a new classification of vehicle. "There are many great reasons to place this legislation in statute," said New Mexico Rep. Carl Trujillo. "For one, this innovative, high-MPG vehicle will greatly help the citizens in my district as well as all of New Mexico by significantly lowering their transportation costs." Trujillo has drafted and proposed legislation that would add the term "autocycle" to his state's driving code, as well as remove helmet requirements for users of such vehicles. Elio Motors Vice President of Governmental Affairs Joel Sheltrown recently testified before the New Mexico Science and Technology Interim Committee and explained the need for the legislation. New Mexico is one of 10 states that have helmet requirements for people under 18. Elio Motors is working to adopt legislation in each of these states. 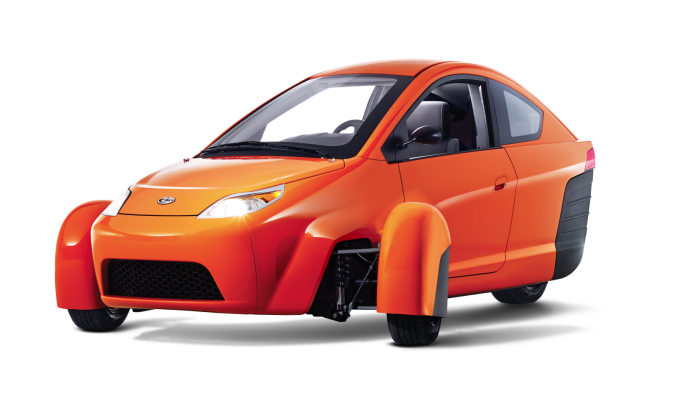 Elio says its three-wheeled autocycle will attain a highway mileage rating of up to 84 mpg and cost less than $7,000. Elio’s first manufacturing site will be in Shreveport, La., with plans for the first production vehicle to roll off the assembly line in 2015.